It seems like the automobile industry is constantly undergoing some form of innovation or revolution. With the advent of power steering, the torque transducer, also known as a torque sensor or torque meter, has become integral to the automobile industry. However, that’s not necessarily the only possible application, even in the automotive world. 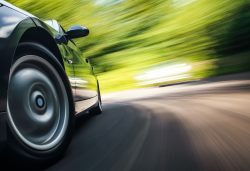 If you’d like to learn more about the uses of torque transducers in the automobile industry, continue reading below. Most automobile manufacturers use torque transducers for calibrating automatic transmissions and for mapping engine torque. These are essential steps in the initial process of developing and manufacturing automobiles. Additionally, torque transducers are used in testing for customer use for both standard and extraordinary circumstances. The toque sensor allows engineers to collect valuable data, which can be used for future development and to better analyze and understand crash or other accident conditions. Of course, that’s in no way the end of how torque meters are used. Torque transducers have a multitude of areas where they’ve become quite valuable in the automotive industry. They’re used for the testing of clutches and gearboxes, as well as measuring strain and for determining the dynamic torque within an engine. In the interest of improving fuel efficiency, an all-important factor in today’s marketplace, torque meters are used to measure horsepower. You’ll also find that torque transducers are used to measure suspension systems, as well as brakes and the powertrain. There are inline and torque sensors, in addition to the rotary types mentioned above, which are used for testing the clutch and gearboxes, etc. Inline torque transducers are located between two toque-carrying components. Because an inline sensor can be placed as near as possible to the device being measured, it can minimize measurement errors, which is very beneficial when you don’t want to permit a large margin of error. A reaction torque meter makes use of Newton’s third law. For instance, it can measure how much force is needed to stop a motor from turning. For manufacturing purposes, you can find custom or standard models of toque transducers. You can also find OEM torque sensors, which are helpful for guaranteeing compatibility with other parts of specific makes and models of automobiles. Naturally, which torque measurement transducers will be best suited for your needs will determined by a multitude of factors, but hopefully this information has helped you to narrow down the selection.